A day full of adventure ! zipline, hiking, kayak and much more. 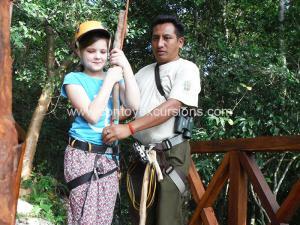 Jungle Expedition Spider Monkey Tour, discover a unique nature area protected by a local Mayan Comunity. 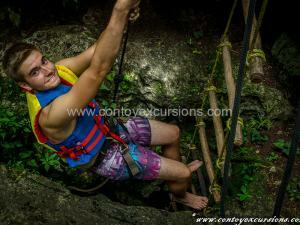 Discover The Punta Laguna Biosphere enjoy zip lines, canoe ride, wildlife, and Mayan culture. Located at 15 minutes from Coba Quintana Roo, Mexico. From Hotels at Cancun we recommend a 12:00 hrs pick up . 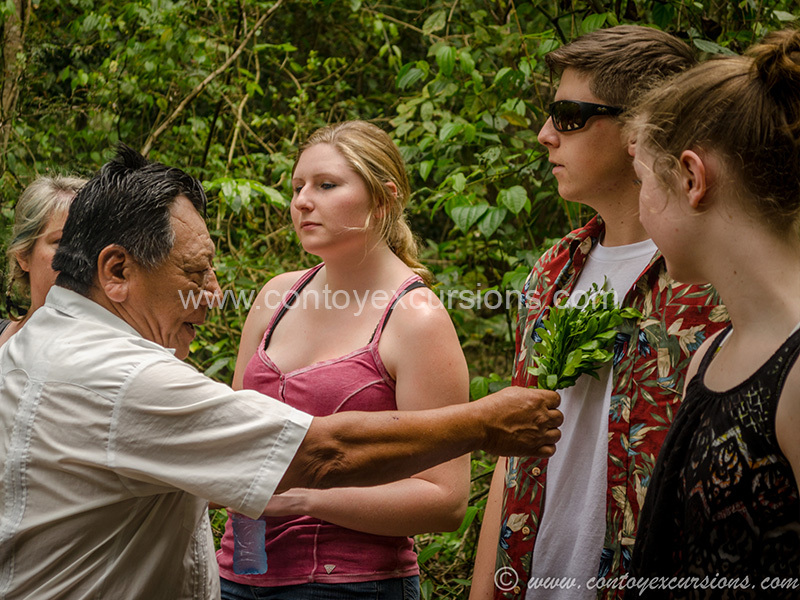 Discover a fun and safe activities in the lagoon where you can explore part of the Mayan jungle, guided by local people with a great knowledge of the nature and wildlife of the area. Enjoy a unique 100% nature tour at the lagoon and also, you can access to a Cenote by rappeling into the fresh underwater waters, all equipment is included in this tour. 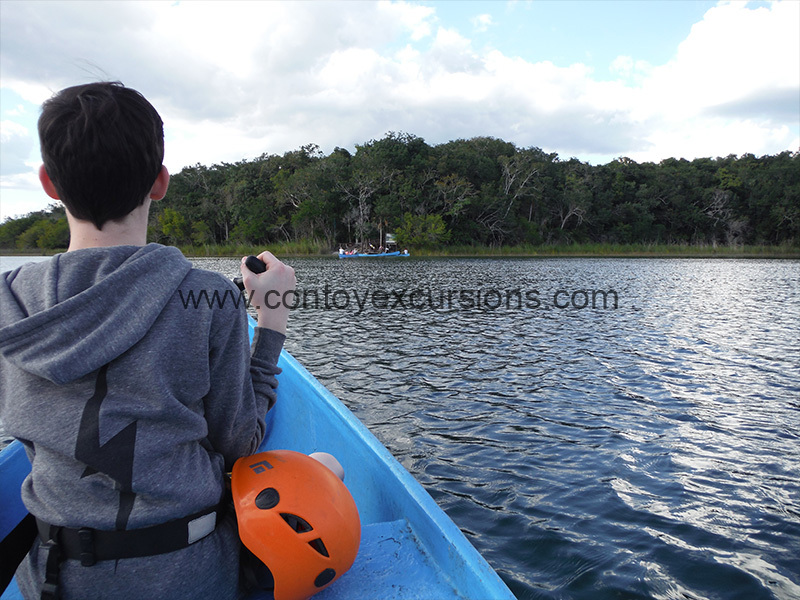 Then enjoy a relaxing kayak ride through the lagoon to reach the zip lines, our experienced crew will be assisting you, during all the tour activities. 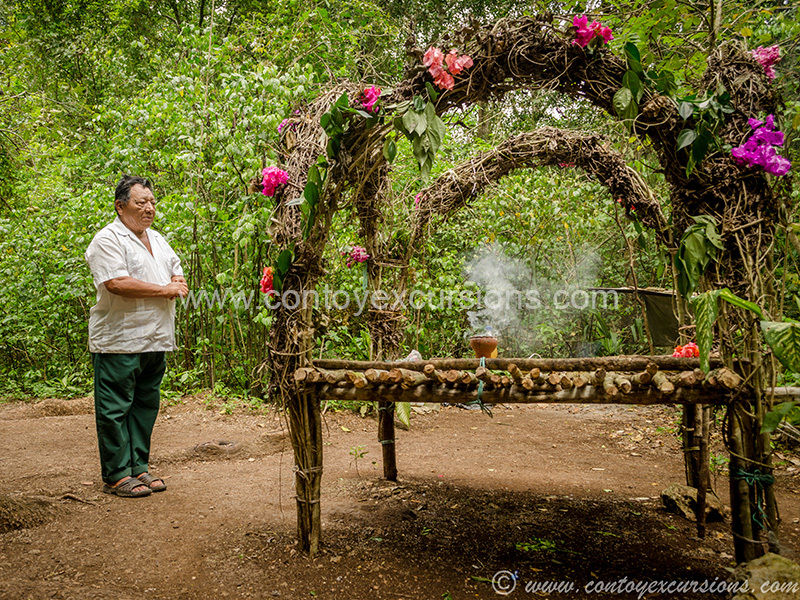 Before the jungle hiking you will be part of an ancient Mayan ritual purification then you are ready to immerse yourself in the jungle for the monkey observation and other species of the area. One tour with many activities, ideal for small groups or families who are looking for an unforgettable experience. 12:30 hrs Van pickup starts. 13:30 hrs Arrival to Punta Laguna Natural Reserve. 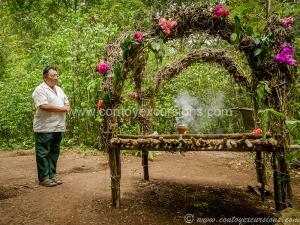 13:35 hrs You will be blessed by a Mayan ritual before access to Punta Laguna. 14:00 hrs We start hiking in the jungle to the first zip line spot. 14:45 hrs Canoe ride to reach the last zip line. 15:00 hrs Time for snacks and refreshments. 15:30 hrs Time to put your swimsuit and swim in The Cenote. 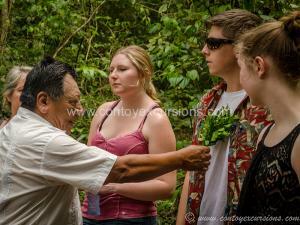 16:30 hrs Start the hiking activity to observe the spider monkeys and other wildlife in the area. 17:15 hrs End of the hiking activity. 17:30 hrs Transfer back to the hotel. Arrival time to the hotel depends on your hotel location around 18:30 hrs. Hotel to Punta Laguna round trip transfer.